Problems with your low-end? 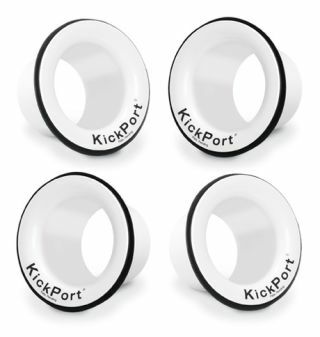 Solve them by winning yourself a KickPort! The guys over at Customskins.co.uk are offering one 5" white KickPort in their latest competition. To stand a chance of winning the bass drum enhancer head to the Customskins website. To see why you should be wetting your pants with excitement over this opportunity, check out our review of the KickPort. You have until 13 August to get your entry in. And while you're in the mood for a good old-fashioned competition, point your mouse here and you could win yourself £200 in Amazon vouchers.